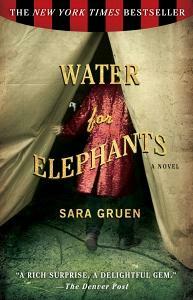 You may have seen my previous comments on this blog concerning Water for Elephants, the book, by Sara Gruen. I urged those that had the time to read the book before seeing the movie. Since the film opened last Friday I would be interested in your comments and comparisons. If you like, please take the time to post your comments here on the blog. 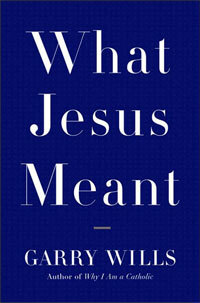 First published in 2006, What Jesus Meant by New York Times best-selling author Garry Wills is 142 pages of important perspective, especially during Holy Week. I commend this wonderful work to you because it is an intelligent and insightful discussion of religion’s important role in our society. “Separation of Church and State” or not, religion is part of everyday personal and political life in the nation. Wills’ is critical of those who term Jesus merely an ethical teacher and allows that Jesus without the Resurrection is simply not the Jesus of the Gospels. Jesus came from the lower class, the working class and he spoke to and for that class. Thoughtful, concise and captivating. A good week for this read. Wills also wrote Why I Am a Catholic. Two movies open in the next week that I am hopeful are worthy of the book Water for Elephants and the subject of many great reads the Lincoln assassination. Robert Redford’s The Conspirator opens on April 15 and Water for Elephants opens on April 22. Should be good films from good reads! I know, it is not always the case but lets be hopeful. Today, April 12, marks the 150th anniversary of the beginning of the Civil War with the firing on Fort Sumter, South Carolina. April 15, Friday, marks the 146 anniversary of the assassination of Abraham Lincoln. Earlier this week I commended to you Jay Winik’s April 1865, an important work of non-fiction on the assassination and the tumultuous period that followed. 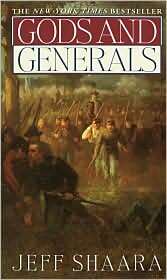 Hundreds of volumes have been written on the Civil War. On this anniversary I suggest to you three writings of fiction that I believe will give the reader the most vivid portrait of this monumental period in American History. If you choose to read them all, I would suggest the following order. 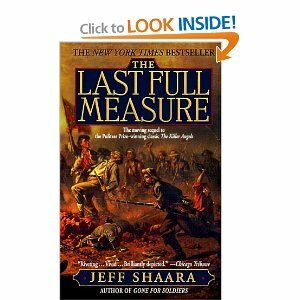 Jeff Shaara’s Gods & Generals, Michael Shaara’s Killer Angels ( The battle at Gettysburg) and then Jeff Shaara’s The Last Full Measure. Jeff Shaara is the son of Michael Shaara. 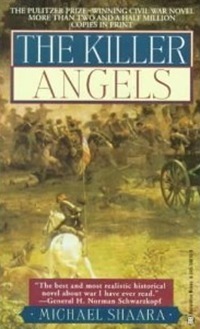 These three historical novels describe the Civil War from the viewpoint of those who fought in and directed the great battles. You will be present at the siege of Richmond, at Pickett’s Charge and on Little Round Top with the 20th Maine at Gettysburg and at the Confederate surrender at Appomattox Courthouse . The knowledge of the Civil War that you will gain from these three works of historical fiction is priceless! Robert Redford’s latest offering as a movie director, The Conspirator opens across the country on April 15, which is the 146th anniversary of the assassination of Abraham Lincoln. The movie encompasses the trial of four accused conspirators including Mary Surratt. The publicity surrounding the release of this film, which I intend to see, caused my immediate recall of Jay Winik’s fabulous 2001 book April 1865, The Month That Saved America. Winik’s insightful analysis of what really happened during that last month of the Civil War and following Lincoln’s assassination is frightening. He writes in detail of what occurred as the country fell into chaos and how a few statesman turned to the United States Constitution to maintain order and establish a transition not only of the presidency but for the country itself. 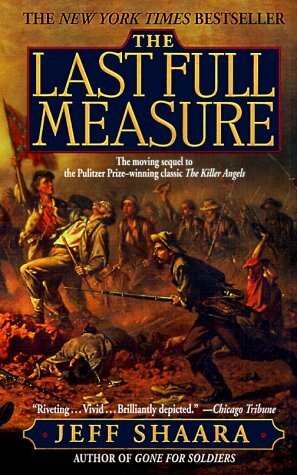 Whether you read April 1865 in conjunction with the movie or separately it is most worthy of the time of all who have a passion for American History. C.J. 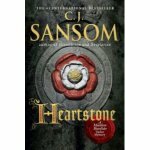 Sansom, the fabulous British writer of the Shardlake Mysteries, is out with a new book, Heartstone which my bookseller placed in my hands just yesterday. It reminded me to share with you my experience with this wonderful series. 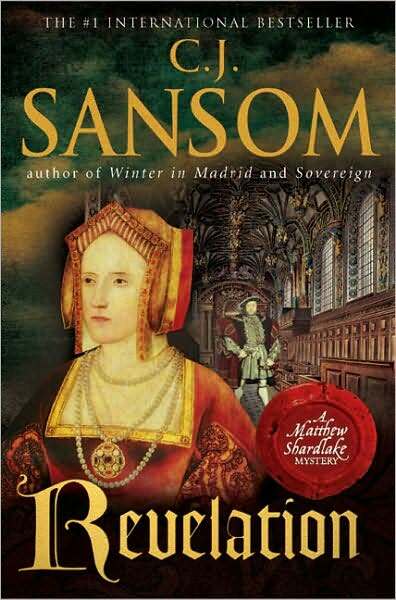 I have read and enjoyed three of the Matthew Shardlake Mysteries. The first in the series is Dissolution, published in 2003. Shardlake is a retired attorney turned investigator charged with solving the murder of one of Thomas Cromwell’s commissioners during King Henry VIII’s closing of all of the monasteries in England. Sansom’s attention to historical detail is so excellent that the book could qualify as a historical novel! You will also meet Shardlake’s able assistant Jack Barak. What a team indeed! 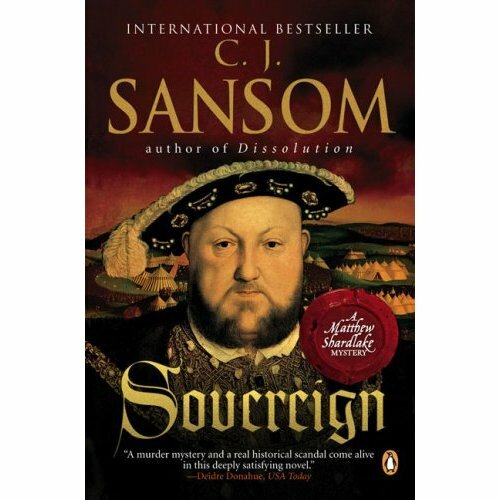 The characters Sansom developes and the localities he describes place you firmly in Sixteenth Century Tudor England. Sansom kindly publishes for the reader maps of the setting of the plot! Move on to the second Shardlake Mystery, Sovereign published in 2006. Shardlake and Jack Barak are called upon to solve yet another murder this time within King Henry VIII’s Court. They undercover a plot against the King Himself! You will meet the fifth wife of Henry the VIII, Catherine Howard, and be plunged into a question of the legitimacy of succession to the English Throne! It only gets better and better. Want more? In Revelation, published in 2008, King Henry VIII is wooing his sixth wife Catherine Parr. Archbishop Cramer is suspicious that Lady Catherine has reformist sympathies. She is also resisting the King’s affection ! Sansom’s physical descriptions of the King leave little wonder as to why it is a hard choice for Catherine. Add to the plot a young boy who because of his religious zealotry has been placed in the Bedlam hospital for the insane. If he is released he will be burned at the stake as a heretic! Enter Shardlake and Barak who while investing the murder of a personal friend discover a direct connection to the imprisoned boy! One more Sansom mystery that will lead you page by page into the late evening, enjoying every minute. There is a fourth in this series titled Dark Fire ( 2004)but I am now so consumed with the opening pages of Heartstone that Dark Fire will have to wait. Sansom authored another novel, Winter in Madrid (2006) set during the Spanish Civil War. Some reviewers have called it a Hemingway without the romance! I have not read that work .